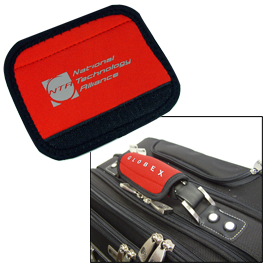 Cushions handle for more comfortable carrying, & easily distinguishes your luggage from others while promoting your message. Pricing includes one color imprint in one location. Extra imprint colors are 0.10 (G) per color with a setup of 24.00 (G) per color.